Gouvia is a small and friendly resort lying snugly in a verdant bay just about 8 kilometres from Corfu Town. The resort of Gouvia is built around the original fishing village of Gouvia. However, long before that Corfu used to be a Venetian colony. During the Venetian rule of Corfu, Gouvia was the home of the Venetian arsenal built in 1716 to encounter the threat from the Ottoman Empire. The Venetian docks are still standing but missing their roof and are located behind Gouvia Marina. Gouvia is famous for its marina which claims to be one of the most famous in the world. It is a natural safe harbour and a gateway from the Ionian to the Adriatic Sea. From the marina here there iseasy access to Paxos , the Diapontian islands and Syvota. The village of Gouvia is quite unassuming but Gouvia is also the site of luxury and high-life. There is more than one beach at Gouvia and a number of water-sport activities can be enjoyed. The beaches are organised and the sea warm. Horse-riding across the undulating hillsides and through the olive groves. North Winds - Vorias, Tramontana. NE Winds - Gregorio, Grego. SE Winds - Levante, Ageliotes. East Winds - Sirocco, Souroko, Euros. West Winds - Pounente, Zephyros. NW Winds - Maistro, Schiron. 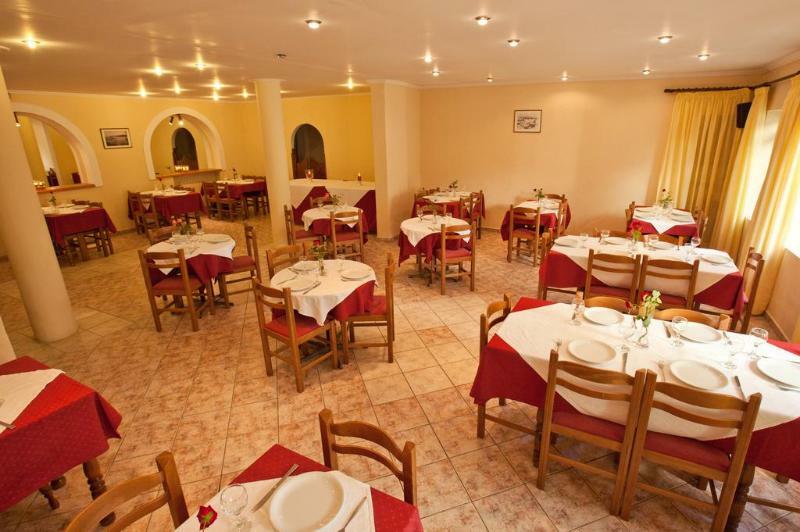 The village of Gouvia has a number of traditional tavernas and fish tavernas and restaurants. Car Hire: You can book your holiday car directly from the Salco Holidays website. Our prices are competitive and include a fully comprehensive insurance. Bus: the local bus route goes into Corfu Town which is only a short ride away and northwards to Kassiopi. From Corfu Town there are many routes to other parts of Corfu. Aqualand is just under 6 kilometres away and a great day out for children and adults alike. There are plenty of bars and clubs in Gouvia. Ipsos is nearby and Corfu town is also temptingly close for a great night out whether it is quiet and romantic or hectic and exciting. Hiring a car may be the best way to explore. 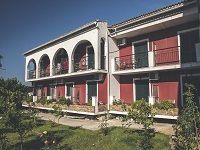 Gouvia is perfectly situated in the centre of the Corfu Island and holiday makers are spoilt for choice. There are also tour buses that visit all the main attractions such as Paleocastrita, the Achilleon Palace and surrounding inland villages. 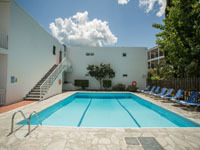 The Hotel Maltezos is a friendly little hotel situated close to one of Corfu¿s finest beaches, and offering a great selection of facilities. 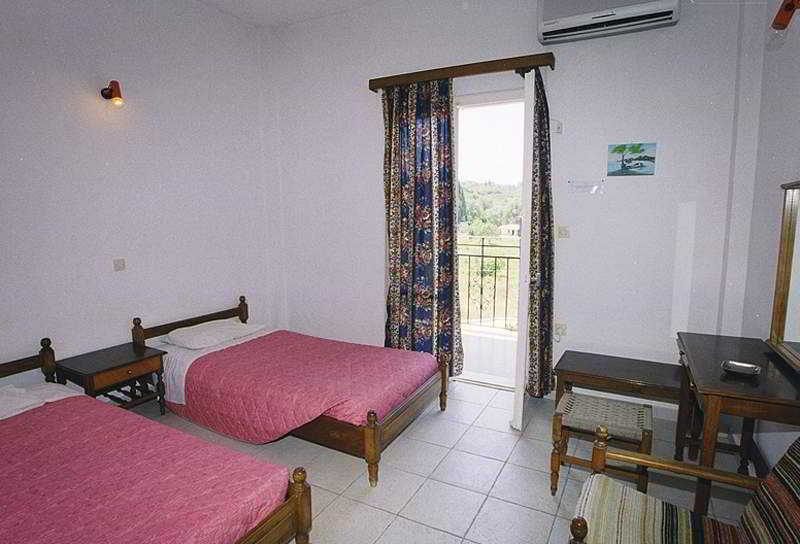 It¿s the ideal place for anybody in search of a little extra comfort during their holiday to Corfu,.. 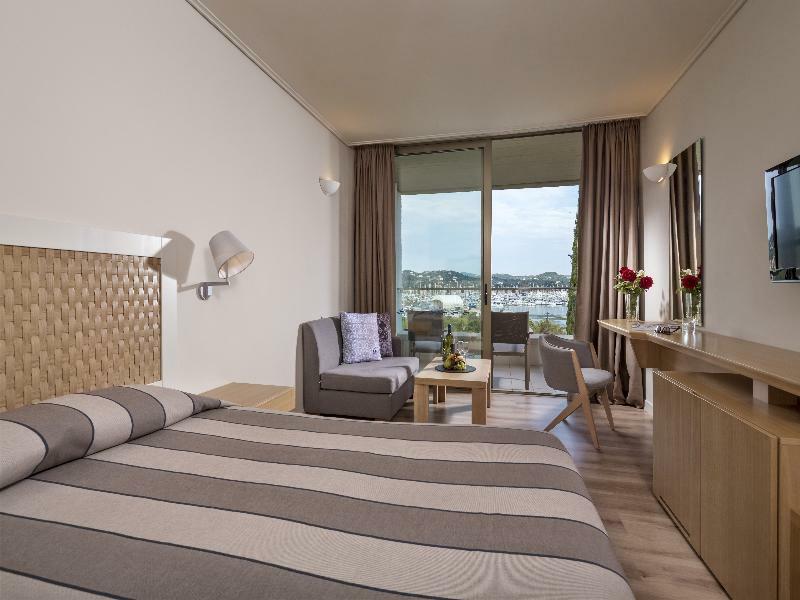 Surrounded by the lush green gardens, olive & palms trees overlooking the beautiful Gouvia Bay, the Govino Bay is one of the most finest resorts in Corfu and offers the guests accommodation in apartments & villas that are tastefully decorated.. This splendid hotel is located in Gouvia on the island of Corfu, and is only 8 km from the international airport. Built in a traditional style, this holiday resort is equipped with many facilities to ensure guests will thoroughly enjoy themselves. Those..
Overlooking the Ionian Sea and Gouvia Bay from its slightly elevated position, the elegant Kontokali Bay Resort & Spa is set on a densely wooded peninsula close to Corfu Town. It is surrounded by beautiful gardens with pine and cypress trees; first-class.. The Kontokali Bay Resort & Spa is a Hotel-Bungalow complex on the central eastern shoreline of the emerald Isle of Corfu, situated only 6-km from the island¿s capital, Corfu Town. Built on a densely wooded peninsula and on a natural incline,..